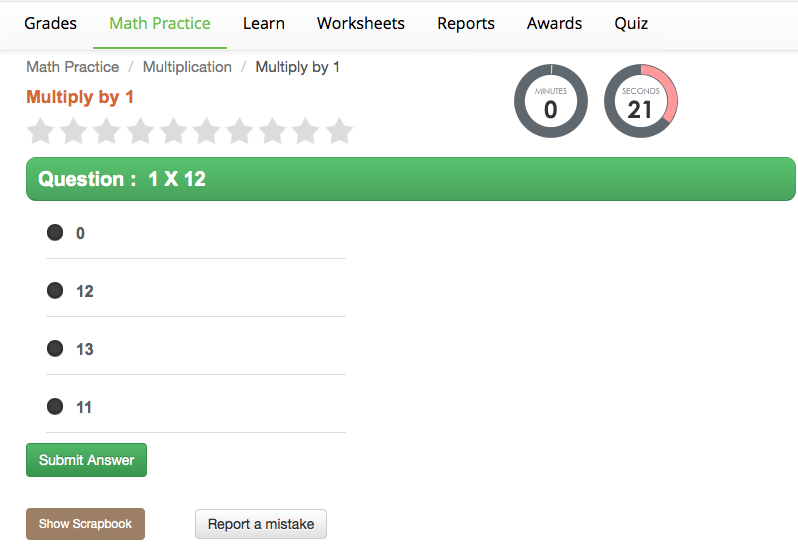 iPracticeMath is a wonderful FREE (Common Core aligned) site for Math grades K-12. I like to think of this as the "ultimate" Math resource, as students/educators can find whatever they are looking for, such as: worksheets/printables, interactive problems, detailed problem-walkthroughs, and more. Also, iPracticeMath covers a wide variety of Math problems. A user can find Math in all grades/subject areas, from basic Math topics such as addition/subtraction to fractions/decimals/algebra, etc etc. In the "Math Practice" area students can practice their problems and use the built-in scratch pad as a "blank" sheet of paper (i.e. works on mobile devices too!!!). iPracticeMath offers a wide variety of worksheets/printables that anybody can use. It even lets users print out the answers or view them online. Other nice printables is the quiz generator as well as the "Award" section that lets parents/teachers print out certificates. For another detailed review on iPracticeMath click here. I highly recommend checking out iPracticeMath by clicking here!! !